ARTICLE 1 – (1) The purpose of this Regulation is to regulate the electromagnetic compatibility of the equipment and to ensure the functioning of the market in such a way as to comply with an adequate level of electromagnetic compatibility of the equipment. ARTICLE 2 – (1) This Regulation covers the equipment described in Article 5. (3) In the event that the basic requirements laid down in Annex I of the equipment referred to in the first paragraph are more or less regulated in detail in other European Union legislation, this Regulation shall not apply or stop the implementation of this Regulation from the date of entry into force of such legislation. ARTICLE 3 – (1) This Regulation has been prepared on the basis of the Law No: 4703 dated 29/6/2001 on the Preparation and Implementation of Technical Legislation on Products. ARTICLE 4 – (1) This Regulation has been prepared within the framework of harmonization with European Union legislation, taking into consideration the European Parliament and Council Directive on Electromagnetic Compatibility dated 26/2/2014 and 2014/30 / EC. ARTICLE 6 – (1) The equipment shall meet the basic requirements set out in Annex-I. ARTICLE 7 – (1) The Ministry shall take all necessary measures to ensure that the equipment is properly installed, maintained, used for the purpose of use, and in compliance with this Regulation, in the market and / or put into service. ARTICLE 8 – (1) The Ministry shall not prevent the presence and / or availability of the equipment in accordance with this Regulation for reasons related to electromagnetic compatibility. a) Measures to overcome the current or projected electromagnetic compatibility problem in a particular area. (b) Measures taken for safety reasons to protect national communication networks or receiver and transmitter stations where they are used for safety purposes in well-defined spectrum situations. 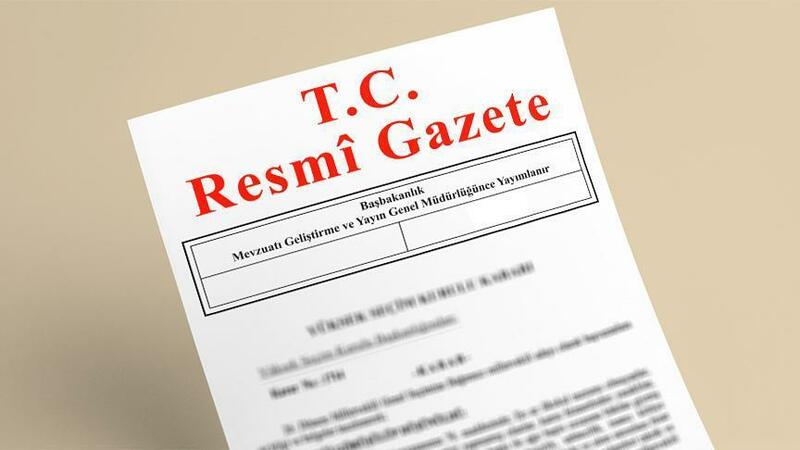 (3) 03.04.2002 dated and 24 715 numbered Official of the published Technical Regulations Gazette and Standards notified to Turkey with the Regulation without prejudice on the Statement between the European Union and the Commission through the Ministry of Economy Ministry this special measures and EU member states. (4) In the event of trade fairs, exhibitions or similar activities, equipment that does not comply with the requirements in this Regulation shall be allowed to be shown and / or exhibited, provided that a clear indication of whether the equipment cannot be put on the market and / or put into service until such time as the equipment is made in compliance with the requirements specified in this Regulation. The demonstration can only be carried out if appropriate measures are taken to prevent electromagnetic disturbance. ARTICLE 9 – (1) Manufacturers shall ensure that the device is designed and manufactured in accordance with the basic requirements set out in Annex-I while placing the device on the market. (2) Manufacturers shall regulate the technical file referred to in Annex II or Annex III, and apply or enforce the relevant conformity assessment procedure referred to in Article 16. Where the conformity of the device with the safety requirements set out in Annex I is demonstrated by a conformity assessment procedure, manufacturers shall issue an EC declaration of conformity and affix the CE marking. (3) Manufacturers maintain the technical dossier and the EU declaration of conformity for a period of 10 years from the date on which the device was placed on the market. (4) Manufacturers ensure that the device complies with this Regulation throughout serial production. It follows the changes in device design or features and the changes in harmonized standards or other technical specifications, which are the basis for declaring the conformity of the device. (5) Manufacturers, the device they are placed on the market; recognizes a type, batch or serial number, or any other element which will allow it to be located on the device, in the case where the device size or structure does not permit this information to be found in the packaging of the device or in a document supplied with the device. (6) Manufacturers specify their names, registered trade names or registered trademarks and their addresses on the product on the device or, where this is not possible, in the device packaging or in a document supplied with the device. Only one address that can be contacted with the manufacturer is shown. Contact information must be in a language that Turkish or end users will understand and which the Ministry will accept. (7) The manufacturers ensure that the instructions and safety information are supplied in Turkish with the device. Such instructions and safety information and all labels must be clear, understandable and legible. (8) Where a device they are placing on the market must know or know that it is not in compliance with this Regulation, manufacturers shall immediately take the necessary corrective measures in order to make the device available, to withdraw from the market or to recall it when necessary. Furthermore, where the device poses a risk, the manufacturer shall inform the Ministry in detail and immediately with regard to all corrective measures taken, in particular by nonconformity. 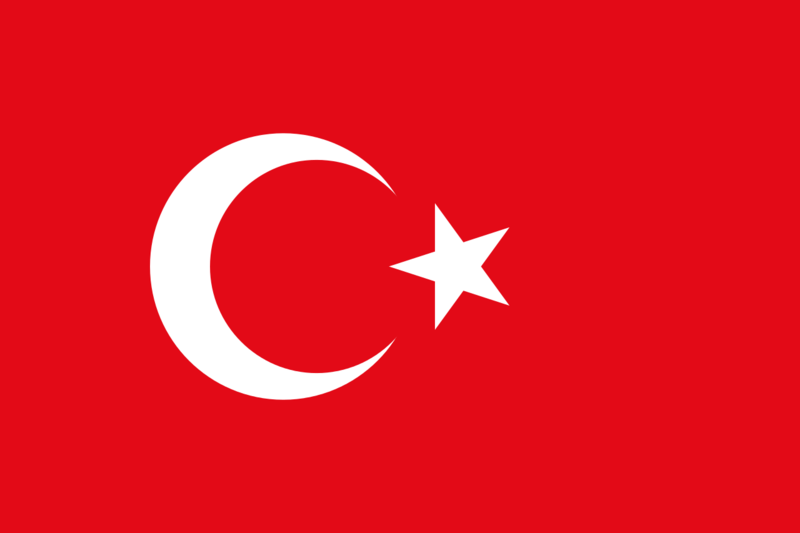 (9) The manufacturers shall submit all necessary information and documents to the Ministry in printed or electronic form, in Turkish or in a language to be accepted by the Ministry, on a justified request, indicating the conformity of the device with this Regulation. The manufacturers cooperate with the Ministry in the activities carried out in order to eliminate the risks of the devices they are placed on the market. ARTICLE 10 – (1) Manufacturers may appoint an authorized representative with a written authorization certificate. The obligations set forth in the first paragraph of Article 9 and the obligation to prepare the technical files specified in the second paragraph of Article 9 shall not be among the powers of the authorized representative. a) to maintain the EU declaration of conformity and the technical dossier for a period of 10 years from the date the device is placed on the market in order to submit it to the Ministry. b) To submit to the Ministry all necessary information and documents to prove the suitability of the device upon the justified request. c) to cooperate with the Ministry in case of a request by the authorized representative regarding any measures taken to eliminate the risks posed by the device contained in the authorization document. ARTICLE 11 – (1) Importers shall only place the devices in accordance with this Regulation on the market. (2) Importers shall ensure that the manufacturer has performed the necessary conformity assessment procedure specified in Article 16 before placing the devices on the market. Since the manufacturer arranges the technical dossier, it carries the CE marking of the device and makes sure that the necessary documents are supplied with the device and that the manufacturer fulfills the requirements set out in the fifth and sixth paragraphs of Article 9. The importer cannot place the device on the market without proper adaptation, if the device knows or needs to know that the device does not comply with the essential requirements set out in Annex-I. In addition, if the device constitutes a risk, the importer informs the manufacturer and the Ministry. (3) Importers shall specify their names, registered trademarks or registered trademarks, and any addresses on the product that may be contacted on the device, if this is not possible, in the device packaging or in a document supplied with the device. The contact information must be in a language that the Turkish or end users can easily understand and which the Ministry will accept. (4) Importers shall ensure that the instructions and information referred to in Article 20 are provided in Turkish with the device. (5) Importers prevent the storage and transport conditions from jeopardizing the compliance with the essential requirements laid down in Annex I while the device is under its responsibility. (6) In the event that a device they are placing on the market knows or needs to know is not in compliance with this Regulation, importers shall immediately take the necessary corrective measures in order to make the device available, to withdraw from the market or to recall it when necessary. Furthermore, in cases where the device poses a risk, the importers shall inform the Ministry in detail and immediately about all corrective measures taken, in particular by non-compliance. (7) Importers shall keep a copy of the EU declaration of conformity for a period of 10 years from the date on which the device is placed on the market and to submit the technical file to the Ministry upon request. (8) Importers, upon the reasoned request, shall submit all information and documents indicating that the device is in compliance with this Regulation in a printed or electronic form in Turkish or in a language the Ministry shall accept. Importers shall cooperate with the Ministry upon request for activities carried out in order to eliminate the risks of the devices that are placed on the market. ARTICLE 12 – (1) Distributors shall act with due diligence in terms of the requirements of this Regulation while keeping the device on the market. (2) Distributors shall bear the CE marking before the device is placed on the market, the necessary documents and the instructions and other information specified in Article 20 are provided with the device in Turkish, verifies the fulfillment. The distributor cannot store the device in the market without proper adaptation, if the device knows or needs to know that it is not in accordance with the essential requirements set out in Annex-I. In addition, when the device is at risk, the distributor shall inform the manufacturer or importer and also the Ministry. (3) Distributors shall ensure that the storage and transportation conditions do not jeopardize compliance with the essential requirements laid down in Annex I when the device is under its responsibility. (4) In the event that the devices they know on the market know or need not know that they are not in compliance with the requirements of this Regulation, distributors shall ensure that corrective measures are taken to ensure that the device in question is in compliance with the requirements of this Regulation. In addition, in cases where the device poses a risk, the distributors shall inform the Ministry in detail and immediately about any non-compliance and all corrective measures taken. (5) Distributors shall provide to the Ministry in printed or electronic form all the information and documents indicating the conformity of the device with this Regulation on the reasoned request. Distributors, if requested, cooperate with the Ministry on any measures taken to eliminate the risks posed by the device they hold on the market. ARTICLE 13 – (1) An importer or distributor who submits a device to the market under its own name or trademark and changes it in such a way as to affect its conformity with the requirements of this Regulation, is considered a manufacturer or distributor for the purposes of this Regulation and the manufacturer is subject to his obligations. a) All economic operators who supply equipment to them. b) All economic operators which are supplied by the device. (2) Economic operators must be able to provide the information specified in the first paragraph for 10 years after the device has been supplied to them and for 10 years after supplying the device. ARTICLE 15 – (1) The products in accordance with the harmonized standards whose reference numerals have been published in the Official Journal of the European Union or the corresponding Harmonized Turkish Standards or related parts thereof shall be deemed to comply with the essential requirements laid down in Annex-1 under these standards or relevant sections. a) Internal control of production in Annex II. b) an EU-type review set out in Annex III, following a conformity assessment based on internal control of production. (2) The manufacturer may choose to restrict the application of the procedure referred to in paragraph (b) of this Article to certain aspects of the essential requirements, but for other aspects of the basic requirements the application of the procedure in subparagraph (a) of the first paragraph is required. ARTICLE 17 – (1) The EU declaration of conformity means that the essential requirements laid down in Annex-I have been fulfilled. (2) The EC declaration of conformity shall be regulated and updated continuously, as specified in Annex IV, including the matters specified in Annex-II and Annex III. In the case of other languages, the Turkish translation of the EU declaration of conformity is also included. (3) If the instrument is subject to more than one legislation requiring an EC declaration of conformity, a single EU declaration of conformity shall be drawn up for the entire legislation. The EU declaration of conformity includes the name of the legislation, the date of publication and a description of the relevant legislation, including publication references. (4) It is assumed that the manufacturer assumes responsibility for the conformity of the device with the requirements set forth in this Regulation together with the regulation of the EU declaration of conformity. ARTICLE 18 – (1) The CE marking is subject to the principles set out in the ve CE tarihli Sign Regulation, which was put into force by the Council of Ministers Decree No. 2011/2588, dated 16/12/2011. ARTICLE 19 – (1) The CE marking shall be attached to the device or its data plate in a visible, readable and non-erasable manner. If this is not possible or cannot be guaranteed due to the structure of the device, the mark is attached to the product packaging and the accompanying documentation. (2) The CE marking shall be attached before the device is placed on the market. (3) The Ministry shall rely on existing practices to ensure correct implementation of the process for affixing the CE marking and shall intervene in the event of improper use of this mark. ARTICLE 20 – (1) In order to ensure that the device complies with the basic requirements set out in Annex I when the appliance is serviced, information on all specific measures to be taken during installation, installation, maintenance or use of the device is provided. (2) A clear statement of such a use restriction shall be included with the device which is not available in residential areas in accordance with the essential requirements set out in Annex I. This statement is also included on the packaging if appropriate. (3) The information required to ensure proper use of the device is included in the instructions supplied with the device. (2) If there are indications of nonconformity of the fixed installation, in particular where there are complaints about the disturbances caused by the installation, the Ministry may request proof of the suitability of the fixed installation and may initiate an evaluation when necessary. In the case of non-compliance, the Ministry may require that appropriate measures be taken to comply with the basic requirements set out in Annex-I. (3) The Ministry shall issue the necessary provisions to determine the person or persons responsible for establishing the conformity of a fixed installation with the relevant essential requirements. ARTICLE 22 – (1) The Ministry shall inform the Commission and the member states of the EU through the Ministry of Economy, under this Regulation, the authorities authorized to carry out third party conformity assessment duties. ARTICLE 23 – (1) The Ministry is authorized to regulate and implement the procedures for the evaluation and appointment of the conformity assessment bodies, including compliance with Article 28, and for the supervision and enforcement of such bodies. ARTICLE 25 – (1) The Ministry shall inform the Commission, through the Ministry of Economy, of the principles regarding the evaluation and assignment of the qualifications of the conformity assessment bodies and the monitoring principles of the notified bodies and any amendments to these principles. ARTICLE 26 – (1) The following qualifications shall be sought in the conformity assessment body to be appointed as notified body. (2) The conformity assessment body shall be established in accordance with national legislation and shall be legal entity. (3) the conformity assessment body, will evaluate the device or the institution / company must be from an independent third-party organization. The design of the device on which to evaluate, manufacture, supply, installation, use or an industry representing companies involved in the maintenance, commerce, chambers of commerce, unions or associations or professional federations to a subsidiary, independence and provided to prove that there is no conflict of interest is considered third party organizations It may be. (4) The top executives of a conformity assessment body and the personnel responsible for carrying out the conformity assessment tasks shall not be the designer, manufacturer, supplier, installer, recipient, owner, user or maintainer of the devices they are evaluating or the representative of any of them. This does not preclude the use of the devices required for the work of the conformity assessment body or the use of such devices for personal purposes. A conformity assessment body, its top executives and their personnel responsible for carrying out their conformity assessment duties cannot be directly involved in the design, manufacture, construction, marketing, installation, use or maintenance of such devices or represent the parties performing such activities. These organizations, they cannot engage in any activity that may adversely affect the fulfillment of the independence of the decision-making and the fulfillment of the requirements of the profession. This also applies to consulting services. Conformity assessment bodies prevent activities carried out by branches, representative offices or contractors from affecting the confidentiality, objectivity or impartiality of their conformity assessment activities. (5) Conformity assessment bodies and their staff shall carry out their conformity assessment activities with a high level of technical competence and professional equipment, and at the end of such activities, in particular when making decisions on financial matters, the moves independently. a) Personnel with adequate and appropriate experience to the technical knowledge to perform the conformity assessment tasks. c) The size of the work it is undertaking, the sector in which it operates, the organizational structure, the technology complexity of the product in question, and the methods required for the realization of the activities that take into account the volume or character of the production process. (d) have the means necessary to properly implement the technical and administrative tasks associated with conformity assessment activities; access to all necessary equipment or facilities. a) An adequate technical and vocational training covering all of the conformity assessment activities in which the conformity assessment body is assigned as a notified body. b) sufficient knowledge of the requirements of the assessments they made and the authority required to make these assessments. ç) The adequacy of issuing certificates, records and reports proving that the activities carried out are carried out. (8) The conformity assessment bodies responsible for carrying out the conformity assessment activities shall guarantee the impartiality of the senior management and personnel of such organizations. The top executives of a conformity assessment body and the remuneration of staff responsible for carrying out the conformity assessment tasks may not depend on the number of assessments made or the results of such assessments. (9) If the responsibility is not undertaken by the public under national legislation or the Ministry itself is not directly responsible for conformity assessment, conformity assessment bodies shall have professional liability insurance. (10) The staff of the conformity assessment body shall maintain professional confidentiality with respect to all information obtained during the performance of their duties under the provisions of Annex III or any provision referred to by national legislation, except in the case of the Ministry. Property rights are protected. (11) Conformity assessment bodies shall participate in the activities of the group established under the relevant technical regulation by the EU for the relevant standardization activities and the coordination of the notified bodies or ensure that the personnel conducting the evaluation activities are aware of these activities. The documents prepared by the decisions of the group formed for the coordination of the notified bodies are used as guidance guide. ARTICLE 27 – (1) A conformity assessment body shall be deemed to comply with the requirements laid down in Article 26 if the reference numbers in the Official Journal of the European Union prove that the reference numbers have been complied with the criteria laid down in the harmonized standards or their respective sections of the published harmonized standards. ARTICLE 28 – (1) If the notified body submits certain duties related to the conformity assessment to the subcontractor or uses a branch / agency for these activities, it shall ensure that the organization, subcontractor or branch / agency meets the requirements set forth in Article 26 and Informs the Ministry. (2) Notified bodies shall take full responsibility for the tasks performed by subcontractors or branches / representations where such tasks have been established. (3) The activities to be carried out by the notified bodies may only be made available to a subcontractor if approved by the customer or may be performed by a branch / agency. (4) The notified bodies shall retain the documents relating to the evaluation of the nature of the subcontractor or the branch / agency and the evaluation of the activities carried out by them in Annex III, when necessary, to submit to the Ministry. ARTICLE 29 – (1) built-appointed as notified body of conformity assessment bodies who wish to apply to the Ministry in Turkey. (2) Council of Ministers dated 16/12/2011 and no. 2011/2621 proving that the conformity assessment activities, the conformity assessment module or modules and the necessary information about the device and the conformity assessment body, if they have stated that they are competent together with the application document, meet the requirements set forth in Article 26 An accreditation certificate issued within the framework of the seventh paragraph of Article 4 of the Regulation on Conformity Assessment Bodies and Notified Bodies which are put into force by the decision is submitted. ARTICLE 30 – (1) The Ministry may only appoint conformity assessment bodies that meet the requirements set out in Article 26 as a notified body. (2) The Ministry shall inform the Commission and the member countries of the EU through the Ministry of Economy through the approval of the Ministry of Economy. The notification is made using the EU’s New Approach Notified Bodies Information System. (3) The notification includes all details on conformity assessment activities, relevant conformity assessment modules / modules, device and also the competence of the organization. (4) In two weeks from the date of notification to the Commission of the notified body candidate with an accreditation certificate, the Commission or the EU Member States may request or appeal additional information on the adequacy of the notified body candidate notified. Following the allocation of an identity registration number by the Commission to the notified conformity assessment body, the Ministry appoints this body as notified body. (5) The Ministry shall inform the Commission and EU Member States through the Ministry of Economy of any changes in the activities and characteristics of the notified body. ARTICLE 31 – (1) After the Commission has assigned an identity registration number to the declared conformity assessment body, the Ministry shall appoint this body as notified body. ARTICLE 32 – (1) In the event that the Ministry determines that the notified body no longer meets the requirements set out in Article 26 or is unable to meet its obligations or is informed about it, the Ministry shall restrict, suspend or puts an end to its status. The Ministry shall immediately inform the Commission and the EU Member States of this matter through the Ministry of Economy. (2) The Ministry shall process its records and documents related to the conformity assessment procedures performed by the notified body, whose activities are restricted, suspended, the status of the notified body has been terminated, or terminated at the request of the institution, or take appropriate measures to ensure that the Ministry shall, if requested, ensure that it is kept available to the Ministry. ARTICLE 33 – (1) The Ministry shall inform the Ministry of Economy, upon request, of all information that constitutes the basis for the appointment of the notified body or that it maintains its sufficiency. (2) The Ministry Commission or EU member which commissioned the Ministry of one of the countries with a notified body’s technical competence and the case of a request for the examination of compliance with regulations, 1/2006 dated the Turkey-EU Association Council of follow procedures specified in Article 4. ARTICLE 34 – (1) The notified body shall carry out its conformity assessments in accordance with the conformity assessment procedure specified in Annex III. (2) Conformity assessments shall be carried out in such a way that they do not create unnecessary burden for economic operators. Conformity assessment bodies shall be responsible for; the size of the work, the sector in which it operates, the complexity of the technology of the device in question, and the volume or character of the production process. In doing so, it also considers the level of protection and the degree of care required for the conformity of the device in this Regulation. (3) If the notified body establishes that the essential requirements laid down in Annex I have not been met by a manufacturer of the relevant harmonized standards or technical specifications, it shall require the manufacturer in question to take appropriate corrective measures and shall not issue a certificate of conformity. (4) The notified body shall ask the manufacturer to take appropriate corrective measures and, if necessary, suspend or withdraw the document if it determines that a device is no longer available during the follow-up of compliance with a certificate. (5) Where corrective measures are not taken or are not taking the desired effect, the notified body shall, accordingly, restrict, suspend or withdraw all relevant documents. ARTICLE 35 – (1) The Ministry shall ensure that an appeal mechanism exists against the decisions of the notified bodies. a) Denial, restriction, suspension or withdrawal of a document. b) any situation that affects the scope and conditions of the notification. c) any information request received from the Ministry in relation to conformity assessment activities. d) Conformity assessment activities carried out within the scope of cross-border activities and any other activity, including submission of a job to the subcontractor. (2) Notified bodies shall provide information to other notified bodies which carry out similar conformity assessment activities for the same device, which are assigned within the scope of this Regulation, and give information about the conformity assessment procedures that have resulted in a favorable outcome. ARTICLE 37 – (1) Notified bodies shall be represented or represented in the committees and working groups established by the Ministry and the Commission. ARTICLE 38 – (1) The provisions of the Regulation on Market Surveillance of Products which are put into force by the Council of Ministers Decree no. 2001/3529 dated 13/11/2001 shall be applied in the market surveillance and supervision of the devices. (2) For the measures included in the first paragraph, the provisions of the Regulation on Market Surveillance and Control of Products and the Regulation on Market Surveillance and Control of the Ministry of Science, Industry and Technology published in the Official Gazette dated 2/10/2012 and numbered 28429 are applicable. (3) If the Ministry considers that the non-conformity is not limited to the country, it shall inform the Commission and the EU Member States through the Ministry of Economy of the results of the assessment and the measures they require from the economic operators. (4) The economic operator shall ensure that appropriate corrective measures are taken for all devices in the market. (5) In case the relevant economic operator does not take adequate corrective measures within the period specified in the first paragraph, the Ministry shall take all appropriate interim measures to prohibit or restrict the device from being placed on the market, to withdraw from the market or to recall them. The Ministry shall inform the Commission and the EU Member States immediately of these measures through the Ministry of Economy. a) The device does not meet the requirements for the protection of the public interest contained in this Regulation. (b) Deficiencies in the harmonized standards adopted as the conformity assumption referred to in Article 15. 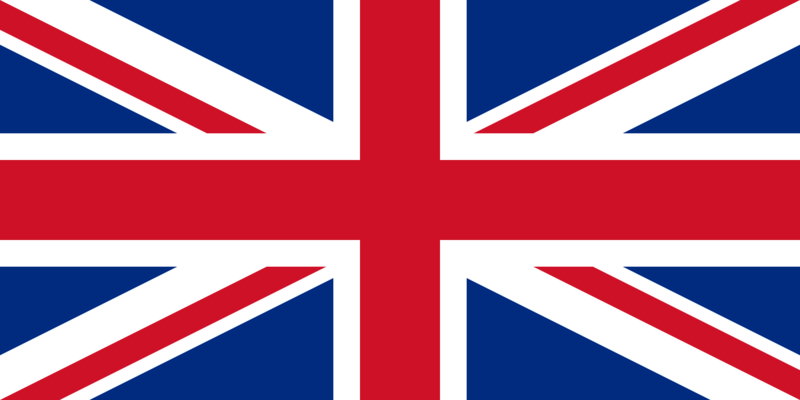 (7) The Ministry shall adopt a measure and any additional information in its possession that it has agreed to apply the non-conformity of the device in respect of the information transmitted by the Commission on a procedure initiated in the EU market; if they also object to the notified measure, they shall communicate their objections to the Commission and the member states of the European Union through the Ministry of Economy. (8) In the absence of any objection by an EU Member State or Commission against the interim measure taken by the Ministry within three months after the information given in the fifth paragraph of this Article, the measure shall be justified. (9) The Ministry shall ensure that appropriate restrictive measures, such as withdrawal of the device from the market, are received without delay. ARTICLE 40 – (1) If the objection made by the EU Member States and the Commission against the measure referred to in the fourth and fifth paragraphs of Article 39 shall be objected and the Commission is deemed not based on justified reason, the measure shall be repealed. a) Attach the CE marking in contravention of the general principles laid down in the aykırı CE esas Signs Regulation. b) Failure to affix the CE marking. c) Not regulating the EU declaration of conformity. ç) The EU declaration of conformity is not properly regulated. d) missing or missing technical file. e) the lack of information, inaccurate or incomplete information contained in the sixth paragraph of Article 9 and in the third paragraph of Article 11. (f) the failure to meet any of the requirements of Article 9 or Article 11 except those referred to in paragraph (e). (2) If the non-conformance referred to in the first paragraph of this article continues, the Ministry shall take all appropriate measures to restrict or prevent the presence of the device on the market and shall ensure that the device is recalled or withdrawn from the market. ARTICLE 42 – (1) The Ministry shall participate in the work of the Electromagnetic Compatibility Committee established by the Commission. ARTICLE 43 – (1) The provisions of the Law on the Preparation and Implementation of Technical Legislation Regarding the Products No. 4703 shall apply to those who act against the provisions of this Regulation. ARTICLE 44 – (1) The Ministry is authorized to make arrangements regarding the implementation of this Regulation. ARTICLE 45 – (1) The Electromagnetic Compatibility Regulation (2004/108 / EC) published in the Official Gazette dated 24/10/2007 and numbered 26680 has been abolished. References to the revoked regulation in other regulations shall be deemed to have been made to this Regulation. PROVISIONAL ARTICLE 1 – (1) The Ministry shall meet the requirements of the Regulation on Electromagnetic Compatibility (2004/108 / EC) published in the Official Gazette dated 24/10/2007 and no. does not prevent the presence or placing of the equipment in the market. ARTICLE 46 – (1) This Regulation shall enter into force on the date of its publication. ARTICLE 47 – (1) The provisions of this Regulation are executed by the Minister of Science, Industry and Technology.